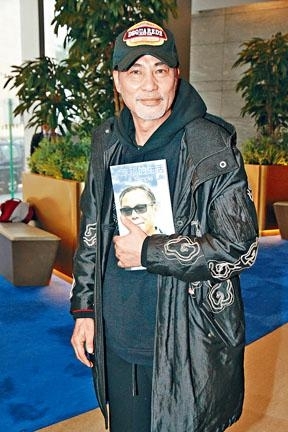 Hong Kong director Ringo Lam Lan Tung passed away on December 29th last year at age 63. His family followed Lam Lan Tung's wishes and held a private low key funeral. 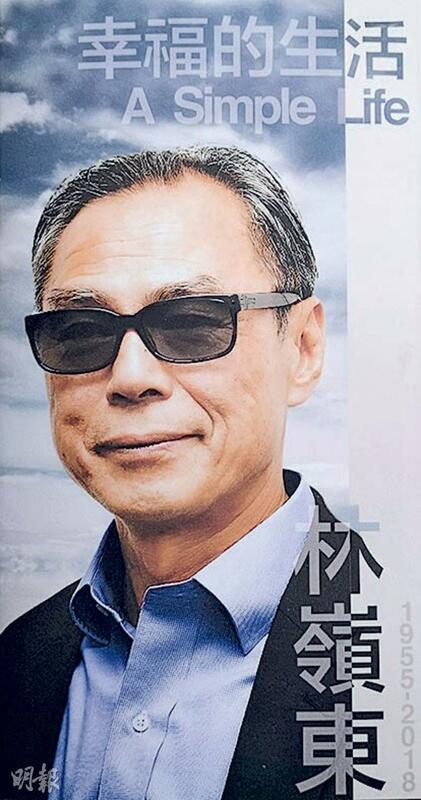 For everyone to be able to express their gratitude, Lam Lan Tung's friends Johnnie To Kei Fung, Tsui Hark, John Shum Kin Fun and Sylvia Chang formed a Lam Lan Tung memorial committee and yesterday at noon held a memorial event for friends to remember Director Lam Lan Tung. 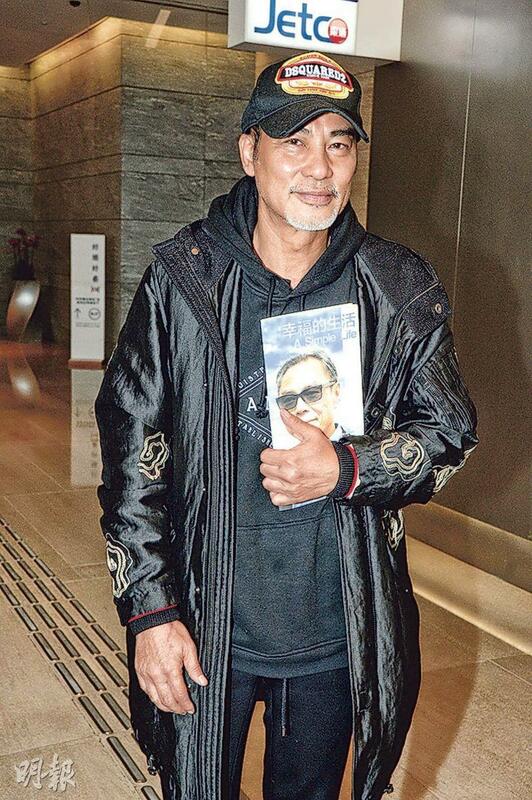 Sylvia Chang, Tsui Hark and others yesterday around 11AM arrived to set up the memorial. Sister Chang was dressed in blue in coordination of the memorial theme "leaving sorrow behind, coming in the mood for a gathering to share a drink and remember a friend together". Other friends included Stanley Kwan Kam Peng, Simon Yam Tat Wa, Shi Nansun, Joseph Chang, Ng See Yuen, Benny Chan Muk Sing, Nick Cheung Ka Fai, Law Sau Yiu, Lam Tak Luk, Anthony Wong Chau Sun, James Yuen Sai Sun, Lo Hoi Pang, Teddy Robin Kwan, To Kei Fung and his wife, Amy Kwok Oi Ming, Joe Cheung Tung Cho, Roy Cheung Yiu Yeung, John Chiang Dai Wai and his wife Lee Lam Lam, Karl Maka, Charles Heung Wa Keung, Ann Hui On Wa, Sally Yeh (Yip Sin Man), Gordon Lam Ka Tung, Louis Koo Tin Lok and others. Cheung Ka Fai once was a neighbor of Lam Lan Tung, only at the time they did not know each other. Several months ago when Lam approached him about a movie they started to get to know each other. Ka Fai praised Lam Lan Tung as one of Hong Kong's famous directors who made great contributions. earlier he wanted to make a movie about his view on life. "I was fortunate enough to have him approach me about playing a cop. 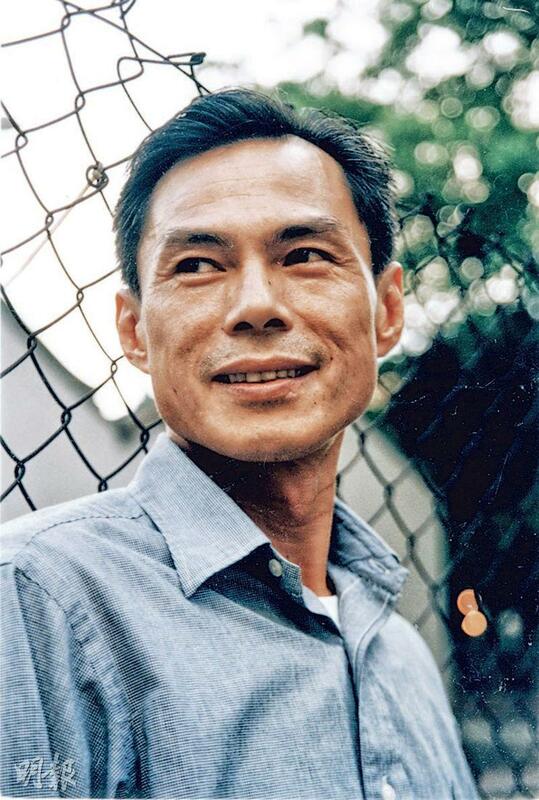 His attitude and philosophy were how Lam Lan Tung lived his life, how he understood life. He asked me because he felt that our personalities were very similar, we both would give up everything for what we do. Last month after many meetings I kept looking forward to the performance, but unfortunately I suddenly learned that he passed away. I lost a friend, a good director and the project also helplessly ended!" Would he consider directing to fulfill Lam's wish? Ka Fai said, "This is his personal understanding, his view of the first and second half of life. No one can control that." 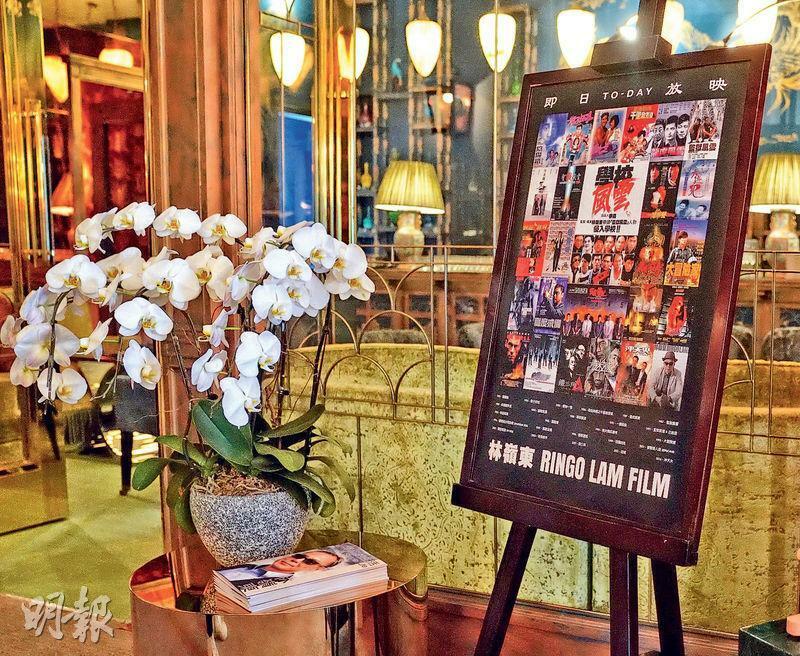 He pointed out that past Lam Lan Tung films were mostly action films. This project would have been a rare drama and the director was in a hurry to make it. Unfortunately it did not come to fruition. 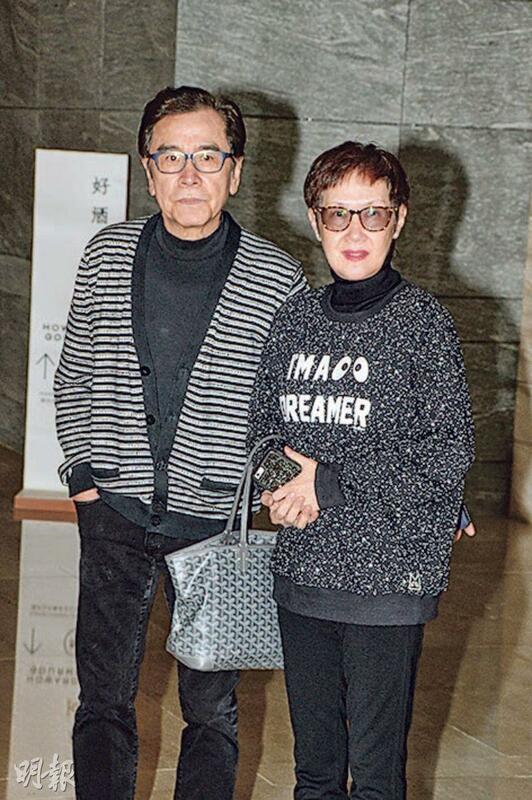 However Ka Fai said that from all the meetings with Lam Lan Tung, he learned that Lam loved his wife very much and his wife was very supportive of him. In addition Lam also said that To Kei Fung was a childhood buddy and they understood each other. Yam Tat Wa originally had to take the noon flight to Hokkaido for a movie, but he insisted on attending the memorial. 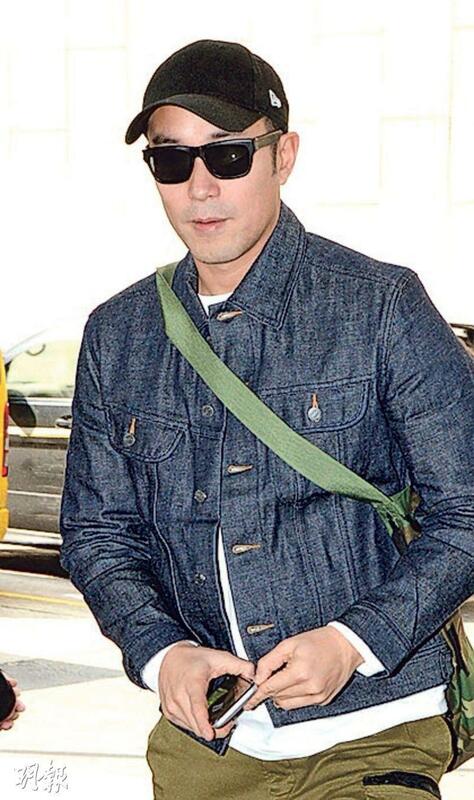 He changed his flight to a 2PM one to Tokyo then wait for several hours for a transfer to Hokkaido. Brother Wa said that he often had dinner with "Mr. Tung" and his family, so yesterday he and a group of friends came to remember their good friend who contributed so much to film. Brother Wa said, "I hope in the future the film world would have like minded directors like him, generation after generation; whether new director or actor would be able to learn from his filmmaking experience and spirit!" Brother Wa about his mood, "I am a little better, that day I really wasn't well. However this has already become fact, so everyone should pay attention to their health. Young people and older people also need to communicate more and have dinner together!" He was asked whether Lam Lan Tung's family needed any help. Brother Wa said that the director's family would not need any assistance at all because they really took good care of their finances. Brother Wa finally said, "He would always ben in my heart, all the memories made me even more passionate about film. This is what Mr. Tung taught me!" Brother Wa left after an hour. He revealed that at the memorial friends ate, enjoyed cigar and red wine as they talked about their memories of Mr. Tung. With a memorial program A SIMPLE LIFE in his hand he said that he was honored to have been a part of Lam Lan Tung's final film EIGHT AND A HALF. 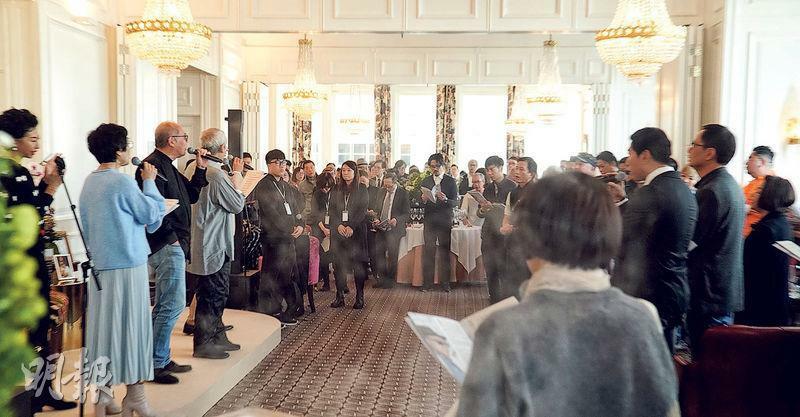 The event also played Mr. Tung's brother Nam Yin written songs to remember him. 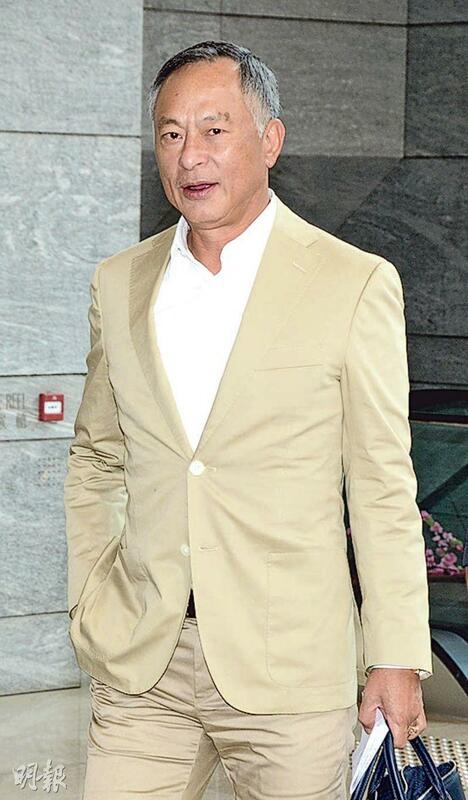 Memorial committee member Johnnie To Kei Fung represented the committee and Mrs. Lam Lan Tung to thank the media because everyone was concerned about "Ah Tung's" affairs. He said, "Ah Tung was a passionate film worker, but his life was very simple and low key. Thus the burial followed his family's wishes and took place simply and quietly. Today's memorial is for everyone to remember Ah Tung's happy days. Mrs. Lam even shared the red wine that Ah Tung left with everyone, for his film friends to sense that their friendship would endure. Ah Tung's passing made everyone even more united and caring, cherish everything that they have now and live in the moment." As for what would be shared at the memorial, Ah To said, "We would talk about happy and joyous things, we wouldn't remember the sorry. We have to live. Ah Tung wouldn't want us to be sad because he too was a happy person." Speaking of Nick Cheung Ka Fai mentioning Lam Lan Tung's plan to make a movie but was unable to fulfill it, Ah To said that he was not sure. However Lam Lan Tung's part in his final film EIGHT AND A HALF (BAK BO BOO) has already been completed. When it will be released everyone could remember him with these few minutes. As for looking his good friend, Ah To sentimentally said, "I can't be in a good mood. We have known each other since 73, and have been friends for over 40 years. I have always had a lot of sentiments. Whenever Ah Tung came back he definitely ask me to dinner. For over 40 to 50 years, we never lost contact and we never argued. His passing made me realize that a lot was not as simple as imagined, coming and going are both very fast!" 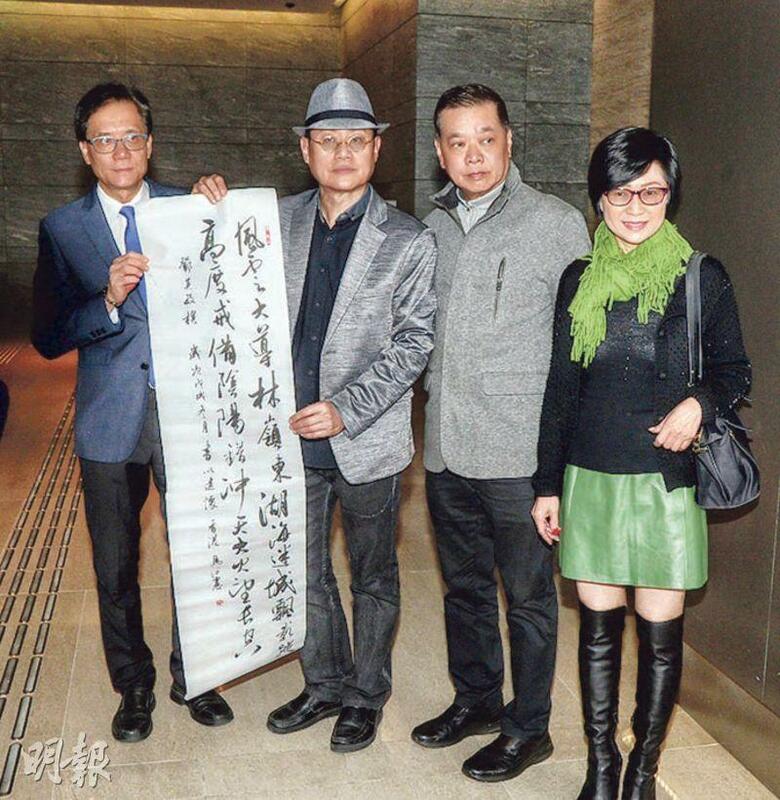 Tang Ying Man and several artist training class classmates wrote a poem with Lam Lan Tung's film titles for Lam Lan Tung's family.